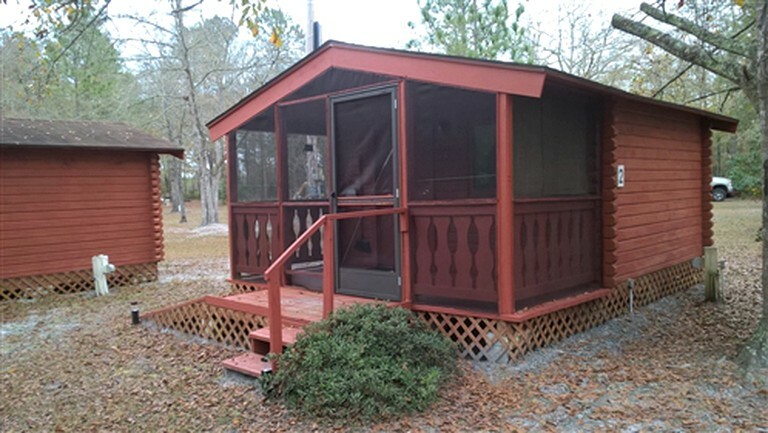 This charming cabin is on a private campground in southern Georgia and can comfortably sleep up to three glampers, making it the perfect weekend escape from Jacksonville, Florida. It has a spacious double-size bed and additional single-size bed for any extra guests. 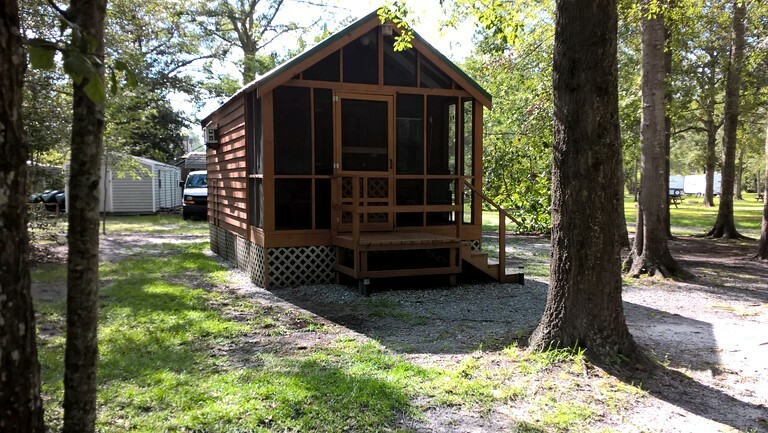 The rustic accommodation is also furnished with a writing table and chairs where guests can plan their days out in the Okefenokee Wildlife Refuge or on St. Mary’s River nearby. On the front porch, guests can unwind with a good book or cup of coffee while listening to the wildlife come alive in the pine trees surrounding the campground. 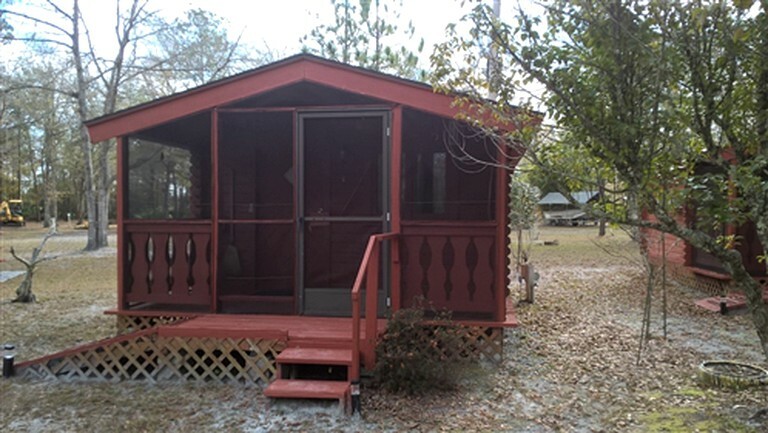 Each cabin is furnished to sleep up to three guests at a time and have an air conditioning and heating system, good Wi-Fi access, and screened-in front porches. 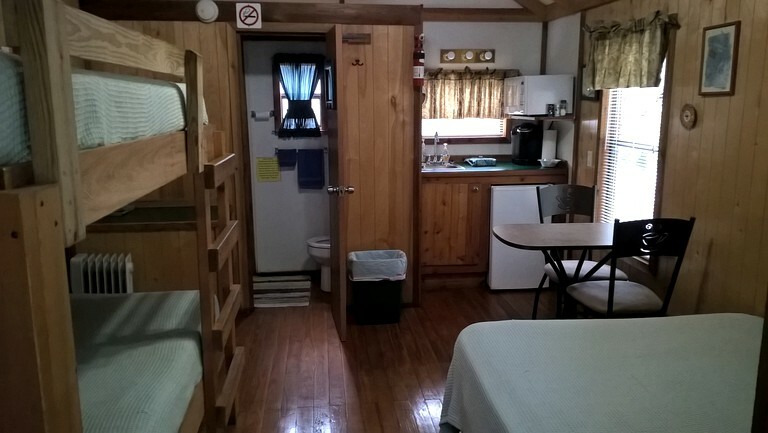 The property is equipped with outdoor guests bathrooms, a recreation area and a campground store, which provides amenities and necessities to guests for small fees upon arrival. Guests can park their cars on site near the cabin rental. Shuttles from the airport and tours of the Okefenokee Swamp are available upon request. Guests can also rent boats through the accommodation office prior to their arrival. Firewood and charcoal grills are available for a $5 charge in the camp store. 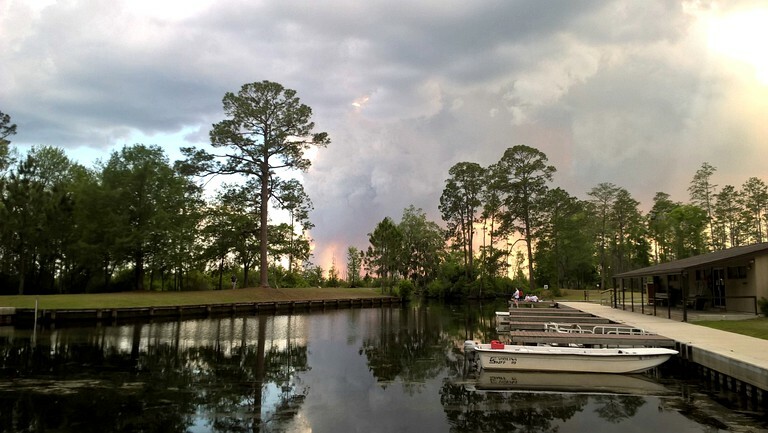 Guests of the campground will find plenty to do in Okefenokee National Wildlife Refuge, with its scenic swamplands and abundant animal populations located just outside of the accommodation gate. The black water swamp is an excellent location fishing or canoeing while trying to spot the various species inhabiting the area, or guests can head to the historic Chesser Island Homestead for a glimpse of life as it was for the region’s earliest settlers. Glampers can also go paddling and fishing on the St. Mary’s River, or head east to Cumberland Island and the surrounding beaches for a day on the ocean. In Jacksonville, guests can enjoy an excellent meal in town or spend a few hours in the Jacksonville Zoo or at the Catty Shack Ranch Wildlife Sanctuary. The city is also home to a number of museums, as well as bars and clubs for glampers seeking a night out. Guests are allowed to bring dogs for a fee and with prior approval from the host.